He’s been teaching his martial arts style for more than two decades to various arrays of students from FBI agents to SWAT teams, Navy SEALs, Delta Force, Army Rangers, military personnel, martial artists, athletes and actors. 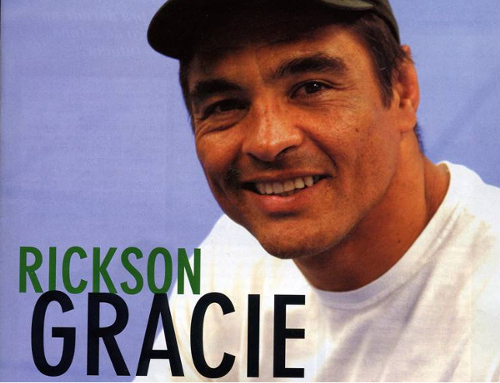 Rickson Gracie founded the Rickson Gracie International Jiu-Jitsu Association in 1996 to clearly present the Jiu-Jitsu system to the students. * He has a combined record of about 460 victories in Jiu-Jitsu tournaments, freestyle wrestling, Sambo and no holds barred challenge matches. * He is a two-time Brazilian Champion in freestyle wrestling. * He is a Gold Medal Winner in Sambo. * He trained his younger brother, Royce Gracie, for his first four fights in the UFC.